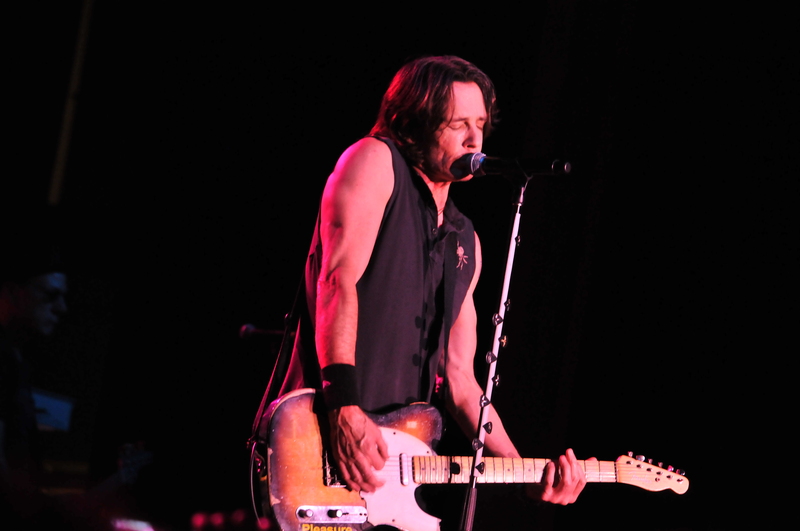 Saturday evening, the Seneca Allegany Casino welcomed Dr. Noah Drake AKA Rick Springfield from General Hospital fame. Springfield is also widely known as a musician who won a Grammy Award for his #1 smash “Jessie’s Girl” back in 1981. At sixty-two years of age, Springfield put on a spirited performance that appeared to have been put on by a man half his age. Despite his age, Rick still looks like he can pass for someone in their thirties. The heavily populated female crowd surely would agree with that. Members of his fan club were allowed to stand directly in front of the stage for the whole show. Opening with the more recent “Who Killed Rock And Roll?”, Rick continued to touch on mostly all areas of his music career. One of the highlights included a cover of the Paul McCartney gem “Jet”. Planted mid-set was a medley that featured six songs that seemed to go over quite well. Rick also took the time to go out in the crowd a few times. He loves to make his audience feel like they are part of the show. As the show wound down, the hits were plentiful. The Sammy Hagar penned “I’ve Done Everything For You”, “Rock Of Life”, “Love Is Alright Tonight”, and “Don’t Talk To Strangers” were among the standouts. Throughout the night, Rick kept teasing “Jessie’s Girl” by playing those famous chords. He finally obliged with it as the final song of the set. He came out for one encore, “Kristina” as he bid the audience adieu. Springfield has been performing since the age of thirteen when he put his first band together. He had his first hit “Speak To The Sky” back in 1972 but it wasn’t until 1981s “Jessie’s Girl” that he tasted his next chart success. Rick enjoyed his most commercial fortune from 1981-1984. That was the period where he had four Top 20 Albums and thirteen top 40 singles. Rick still has what it takes as a performer and entertainer. It is good to say that I had a chance to see him perform at an admirable level.